A complete manual is available here. You can also find older questions and their answers here. Leave a comment below if you have any new question. In this presentation, I am talking a little bit about the current status of the project. 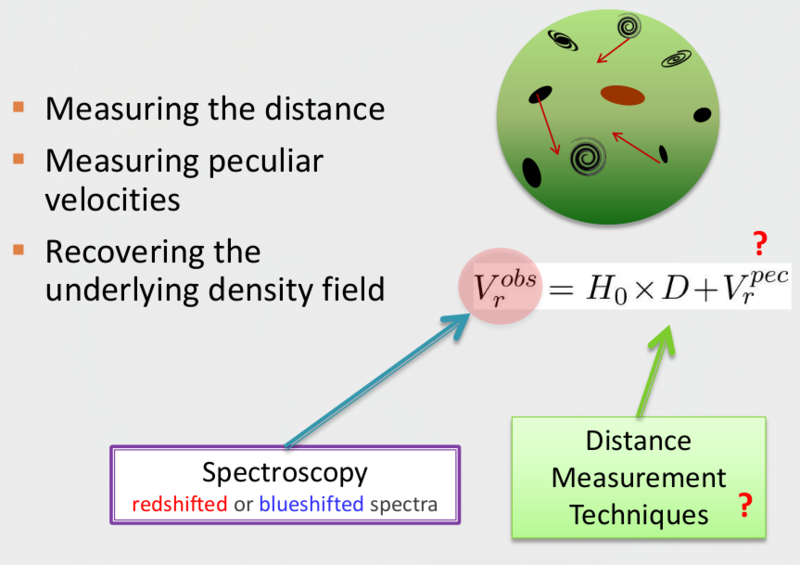 The main goal of our research is to map out the density structure of matter in the local universe. To do so, we need to measure the relative velocity of galaxies, known as peculiar velocities. However, as we observe galaxies from the Earth, the measured radial velocity of a galaxy is a superposition of the global Hubble expansion rate and the peculiar velocities. This means that to extract galaxies peculiar velocities, we need to measure their physical distances, and then subtract the resulting Hubble expansion rate from the measured radial velocities. 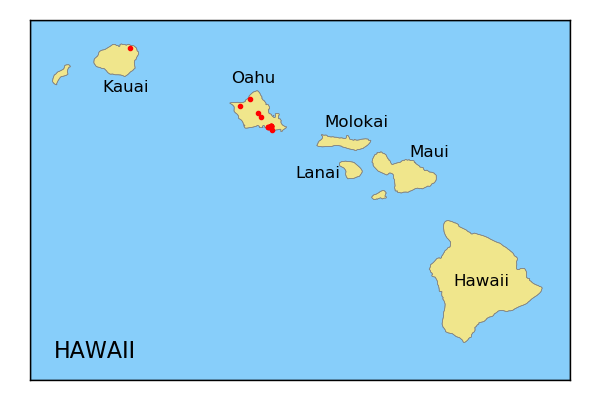 Using the resulting peculiar velocities, later we can recover the underlying density field and discover structures like our home supercluster known as Laniakea. But the question is that how we measure the distances of galaxies. There are many different methods to measure distances, and each one only works with specific objects. 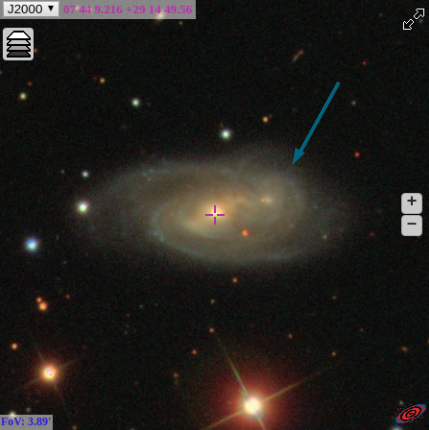 In this research we focus on only Spiral galaxies. There is a well-known relationship between the absolute luminosity of spiral galaxies and how fast they rotate. In Astronomy. this famous relationship is known as Tully-Fisher relationship. 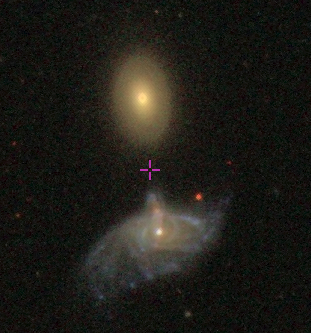 Intuitively, one expects that more massive galaxies to be brighter and rotate faster. If we measure how fast a galaxy rotates, then we can estimate its absolute luminosity and compare it with its apparent luminosity that we observe. The difference between absolute and apparent luminosity gives us to the actual distances of galaxies. With all of that in mind, to achieve our goal we need to measure two different quantities. 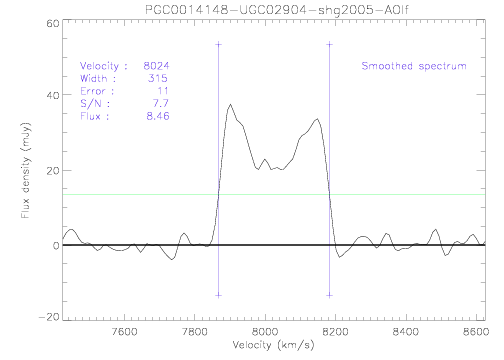 First, we need to measure the rotation velocity of galaxies, which results in their absolute luminosity if we use the Tully-Fisher relationship that connects rotation rate and luminosity. Second, we need to measure the apparent magnitude of galaxies, which together with the obtained absolute luminosity from the previous step, it gives us distances to galaxies. Spiral galaxies are late-type galaxies with a lot of atomic Hydrogen gas which undergoes star formation. The hydrogen atom consists of one proton and one electron. Each hydrogen atom can be found in two different states. In one state, both electron and proton have the same spin directions, and in the other state, electron and proton have opposite spin directions. The opposite spin direction has slightly lower energy level and the transition from high to low energy states produces radio emission that can be observed at 21 cm. 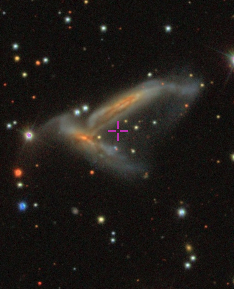 Some of this 21 cm emission is blue shifted and some redshifted as the consequence of the rotation of spiral galaxy. 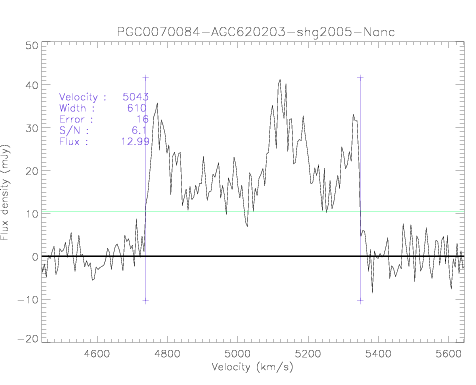 This means that the 21 cm emission line is broadened due to rotation. Faster a galaxy rotates, the broader the 21 cm line is. 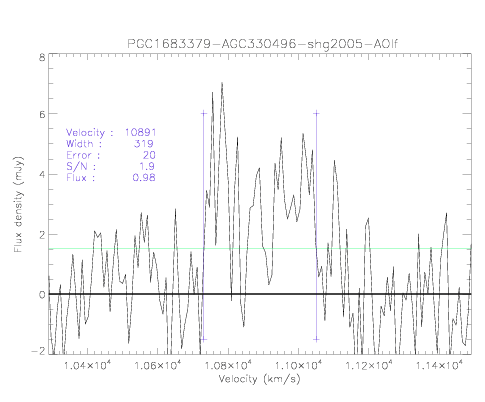 In addition to the rotation, the inclination of the galaxy can change the broadening of the 21 cm emission line. If a galaxy is totally face-on, the observer does not see any rotation and the broadening factor in minimal. As the inclination increases, the 21 cm line-width increases. 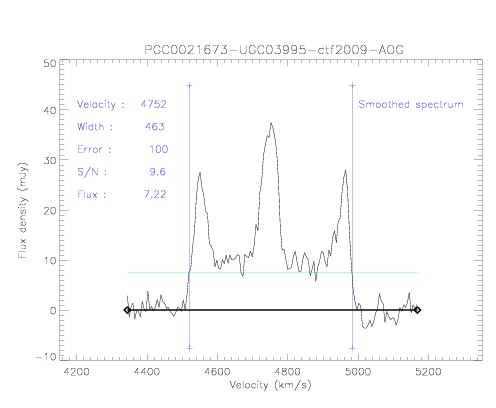 This means that in addition to the radio observations we need to measure the inclination of galaxies. The current study mainly focuses on the Northern part of the sky where we had both radio and optical data. This study complements the previous Cosmicflows3 catalog. The absolute luminosity or the mass of spiral galaxies is related to their total rotation velocity. However, what we really get from the HI 21 cm line-widths is the observed rotations that has the projection factor dictated by the galaxy inclination. Therefore, it is important to measure the inclination of galaxies with high accuracy. If a galaxy is face-on, its inclination is 0 and all edge-on galaxies have the inclination of 90 degrees. So far, all users together have spent more than 1,100 hours on this project. About 5,000 galaxies have been already rejected due to the poor quality of images or bad HI profiles which made them bad candidates for the distance measurements using TF relationship. 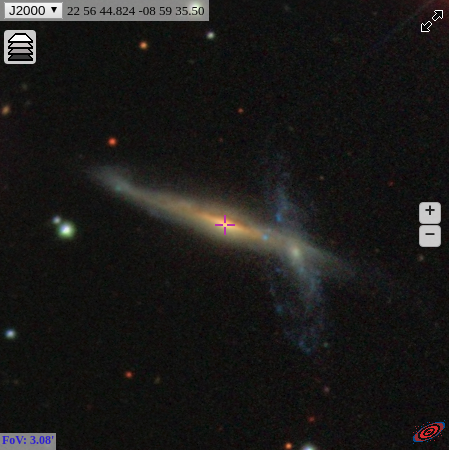 For those galaxies that have not been rejected, we have made sure that there are at least 3 different measurements done by different users. This increases the accuracy of the final results as we use the median of all measurements. If a user makes a terrible mistake and introduces an outlier which is not consistent with other measurements, that measurement would be later removed. 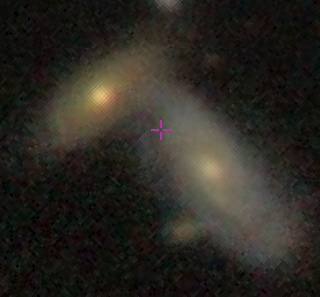 At this time, we have enough information and data to move on to the next level of analysis and prepare the next generation of distance catalog using which we can find more local galaxy structures, like Laniakea. I would like to thank all of those who have already participated or will participate in this project. 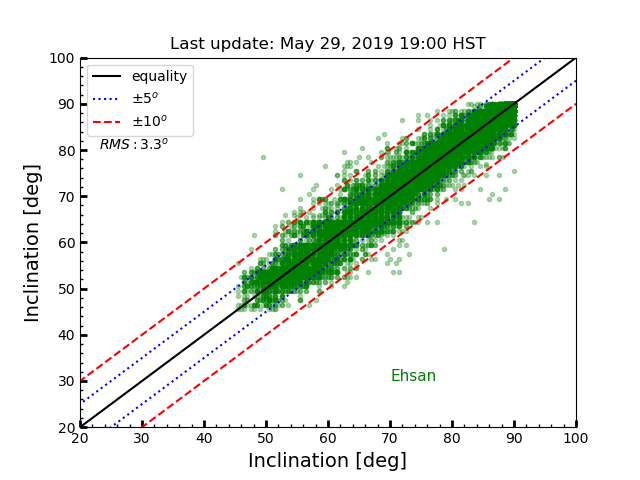 With more measurements, we can better understand the nature of uncertainties and minimize them, which leads us to better and more accurate distance measurements required for Cosmicflows calculations. All the final products and data catalogs would be available to public through the Extra-Galactic Distance Data-Base. I appreciate all of your comments and suggestions that help us with improving this process. We reject all mergers and interacting galaxies with disturbed structures. 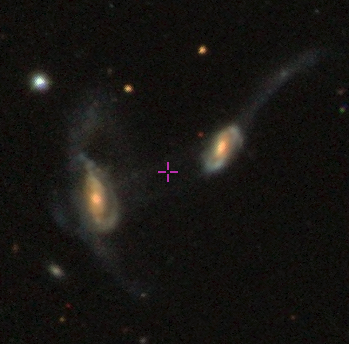 The following galaxy (pgc21673) is an interesting case where another face-on galaxy is overlapping the original galaxy. 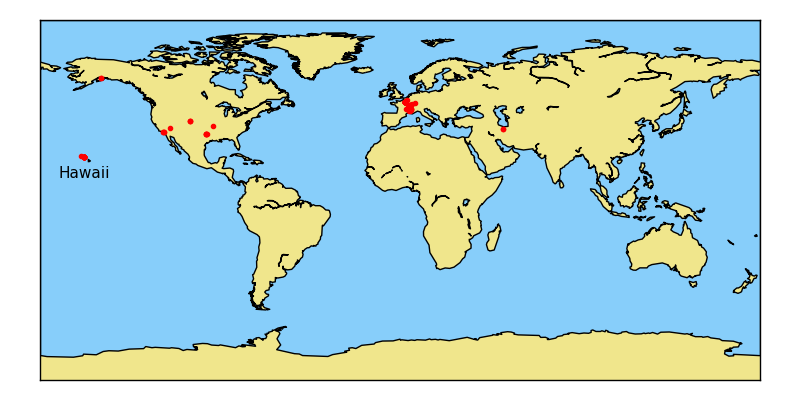 Red points represent the geographical distribution of all users who are participating in this project. This plot compares my measurements against the median measurements done by the other users. NOTE: In general, +/-5 degrees scatter is OK. You need to be more careful to increase your accuracy and reduce the scatter. In particular, you need to be more careful when it comes to low inclined (more face-on) galaxies. We know that the uncertainty is larger for more face-on galaxies. In order to decrease the uncertainty, just make a 3-dimensional mental picture of galaxies in your head and try to make sense of their inclinations. Just imagine how you can rotate a round flat disk in space to create the 2D projected image you see. The left panel shows the number of sorted galaxies as a function of time (this includes all visits - practice, training, calibration, etc.). The blue curve is the contribution of everyone and the orange one is the contribution of amateurs. 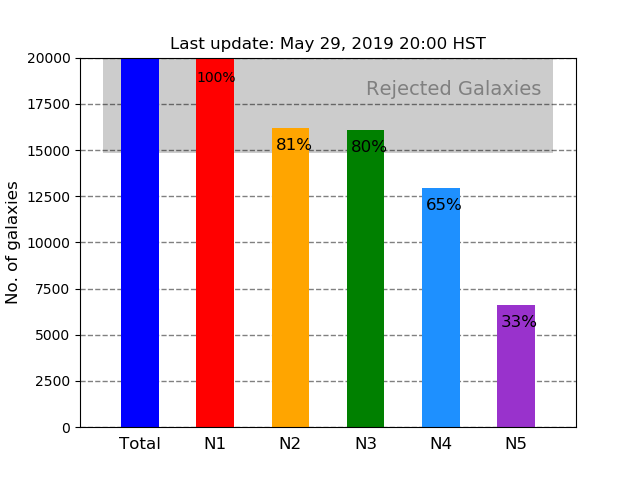 The right panel shows the statistics of the sorted galaxies.The blue bar represents the total number of candidates in our catalog. The red column shows how many galaxies have at least one measurement. The yellow and green bars display the number of galaxies with at least 2 and 3 measurements, respectively. What to do if an HI-profile is missing ? If the HI profile is missing (e.g. the left panel above), treat the galaxy as it has a perfect profile. 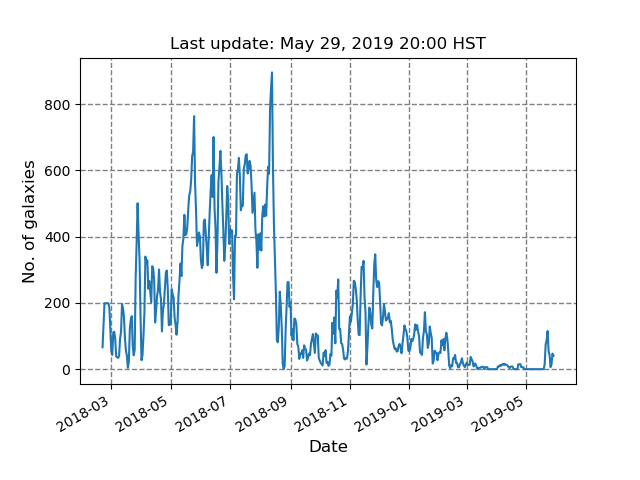 Although this means that HI profile is not available in our database, we still have the HI line-width and fluxes necessary for our calculations. In the future these profiles would be also imported into the database. So, in these cases don't put a flag on the "bad HI profile" and no note regarding HI profile is necessary. I don't have a Google account, Can I still participate? Yes, please contact us with your name and email address. We will make you an account and then you can directly login to the system. How can I recover my forgotten password? Mostly registrations and authentication processes are done through the Google services system. Therefore, since we are not handling this part, we are not responsible for your lost password. Please try to recover your Google account password first and then proceed to login to our system. You can also use any other Google account you may have and continue working. If you are participating in a program that requires you to have a specific Project ID, please let us know your new Email address as well as your project ID. In case we have created you an account and you have forgotten your password, please contact us. I am going to leave the session and start working later, what's the process? You can always remain signed-in. Just close the inclination tab/window. Please reload the page if you see the time-out message. Normally if your work-page is idle for 10 minutes, you are required to refresh the page and start working over on a new randomly chosen galaxy. So, it is better not to leave a page at step B, since due to the time-out reload process you will loose your work. Ⓒ Copyright 2018 Cosmicflows Team. Contact Ehsan Kourkchi for technical supports.